Hectic: (this one is mostly for parents and families) - a busy day packed with family activities, travel from one place to another and logistics for it all. The traditional commencement photo is one of many important elements of a student’s college and graduation experience. "I think it was pretty important, having spent so long a time at the university. I wanted to make sure I had a photo with the President of the University. It’s… something everyone wants to have to commemorate their time at the university." Additionally, parents and families of graduates talked about difficulty "enjoying the moment" when they were distracted with trying to capture their own photo. What matters most in graduation photos? Who is in them. Friends - Many of whom were made at university. Almost unanimously students and their families asked for additional photo opportunities and pose locations. These could include iconic locations around campus, alternative angles to our traditional poses and "friend & family" areas. A challenge posed with producing these types of images is correctly identifying the graduates in each photograph. 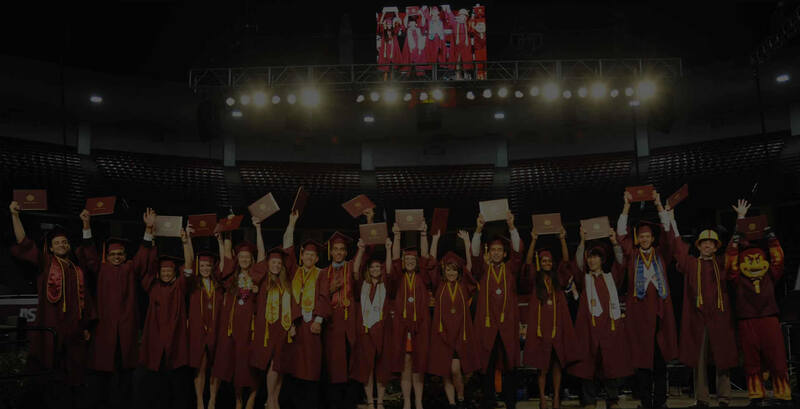 Thankfully technology and investment by GradImages has birthed Iconic ID, a new proprietary technology that enables us to quickly and easily identify graduates in candid photos. Keep following our blog for more information about the availability of this technology. What does graduation mean to you as a graduate, parent, a commencement coordinator or faculty member?